We are currently expanding our facility! We are experiencing growing pains here at MWM. We are currently constructing our new and much larger coral and fish holding systems! Please check back with us as we make improvements to bring more of the reef to you! email sales@mountainwestmarine.com, or now find us on FACEBOOK to check out our stock! 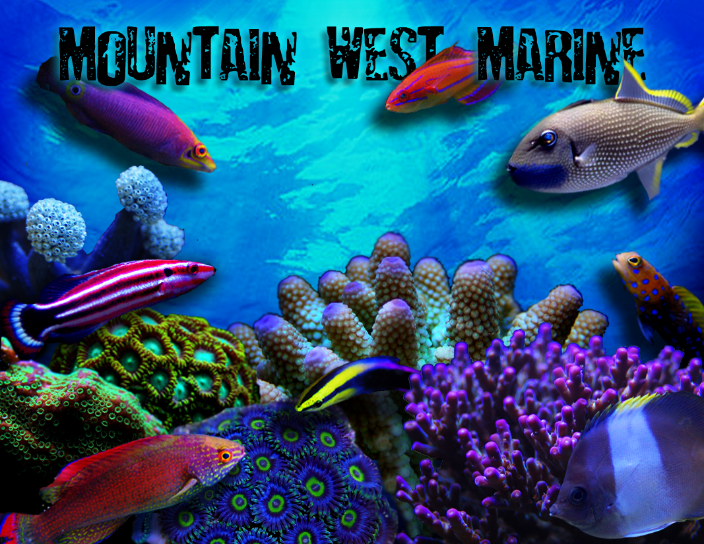 Welcome to Mountain West Marine, where we specialize in bringing you the highest quality what-you-see-is-what-you-get (WYSYWYG) livestock available for your aquarium. whether it be FOWLR, or a full reef we have what you need. Shipping is also available for our long distance customers! Remember we can get LOTS of things not listed here on the site, so if you would like to special order something that isn't listed just let us know! Also watch for our locals only specials and great deals for MWAS members! WMAS members should email or call us to see what great deals we can get you! Remember to join our email list to get updates on our stock and specials!